I want to preface this particular Victory Call with saying that this might seem a little elementary to some of you readers, but I also think this is a topic that today’s society really needs to understand. My generation, in particular, seems to base their decisions off of feelings and temptations, instead of focusing on what is good and true. Recently, I got into a really long and deep conversation with my friend about the subject of temptation. She was confiding in me that a friend of hers was struggling. The friend was living a life of sin, and her way of thinking was that if God didn’t want her to sin, He would not put a desire in her heart to do so. Really, this girl is giving into temptation, and I think there are a lot of misconceptions about this subject. It is important to know that temptation itself is not a sin; Jesus himself was tempted. It is also important to note that God does not put a desire in our heart to sin nor is it He who tempts us. 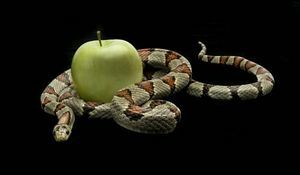 James 1:13 says “When tempted, no one should say, ‘God is tempting me.’ For God cannot be tempted by evil, nor does he tempt anyone.” By saying that God is tempting someone to do wrong or giving one a desire in their heart to sin, they are ultimately saying He is leading them to do evil. That simply cannot be the case, because if it were, God would not be 100% good and the gospel would be a lie. It is the enemy who tempts us, and it is our choice whether we listen to the lies of the enemy or the Word of God. God does, however, allow temptation. He doesn’t allow temptation just to see how we respond; He knows our hearts already. He knows how we will respond in any given circumstance. No, God allows temptation because it is a way for us to lean on Him for strength, grow in our walk, understand more about Him, and understand more about ourselves as well. Temptation can either cause us to stumble or it can be a great way for us to grow in our walk with the Lord. It all depends on our response. We must try to resist temptation, and the way to do that is with the sword of the Spirit – the Word of God. When Jesus was tempted in the wilderness, He responded to Satan with Scripture. We must also do so, if we intend to live like Jesus. We must ask the question: is what we’re doing right or is what we’re doing self-serving? Are we basing decisions on what would be pleasing to God, or what would make us feel good? Are we giving in to temptation? What in our lives today is tempting us most? The correct way to respond to temptations seems pretty clear, but many people today miss the mark. God gives us authority over evil and every power of the enemy (Luke 10:19) – that’s crazy to wrap our minds around, but it’s so awesome. If He gives us authority over evil, we also have authority over temptation, amen? !